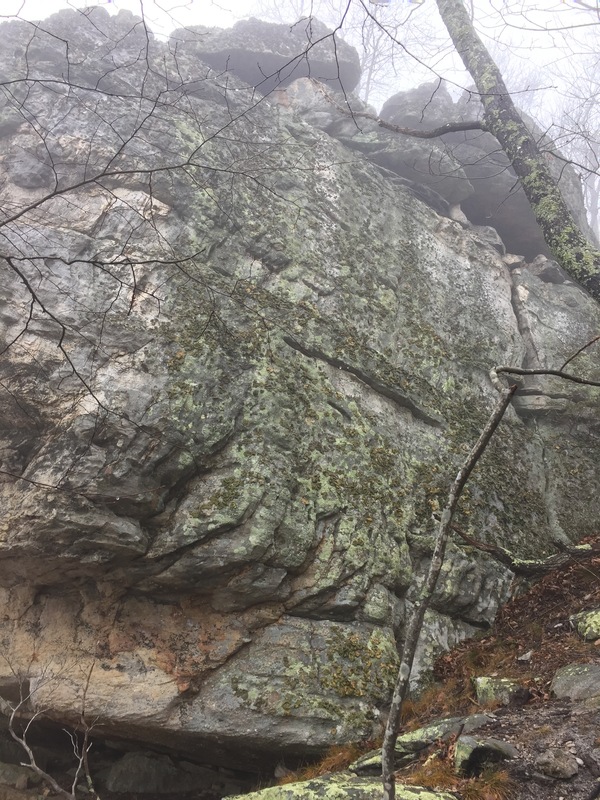 A few days ago I hiked up from the valley in southwest Virginia to scout out rock climbing Tinker Cliffs and check out the possibility of setting up some solid routes. 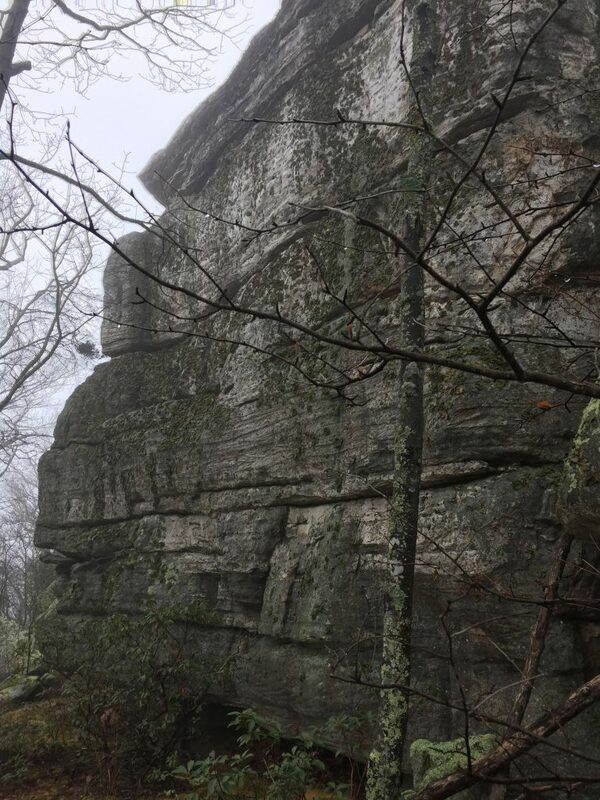 From a mile down in the valley, the possibility for rock climbing on Tinker cliffs appear endless. 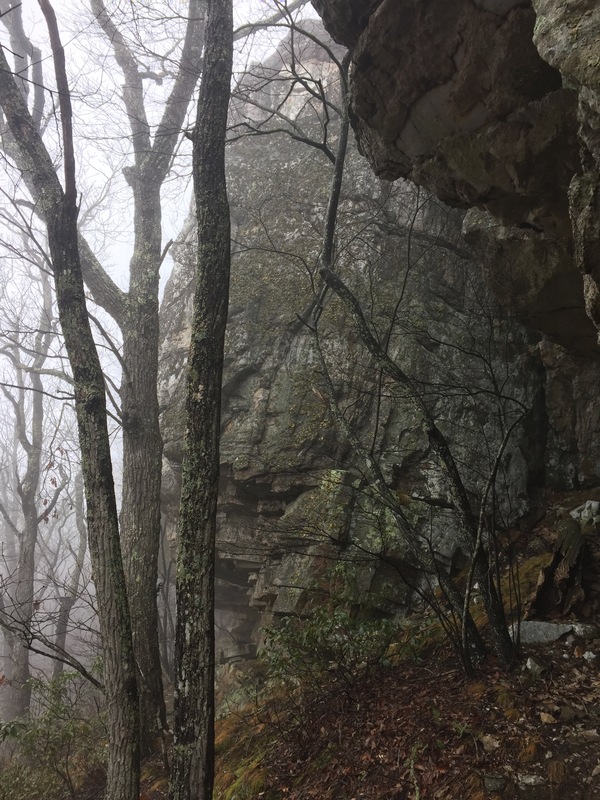 And up the 3+ mile Andy Layne Trail to reach the summit of Tinker Cliffs, I found exactly that. 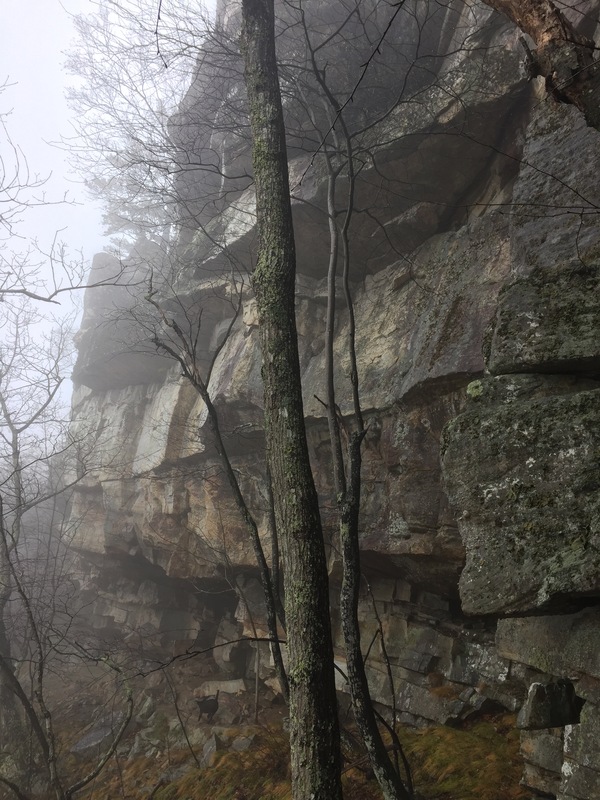 The beta for the Cliffs is sparse, with the Mountain Project info limited to a few comments on a forum and other sites simply hinting at the possibility. 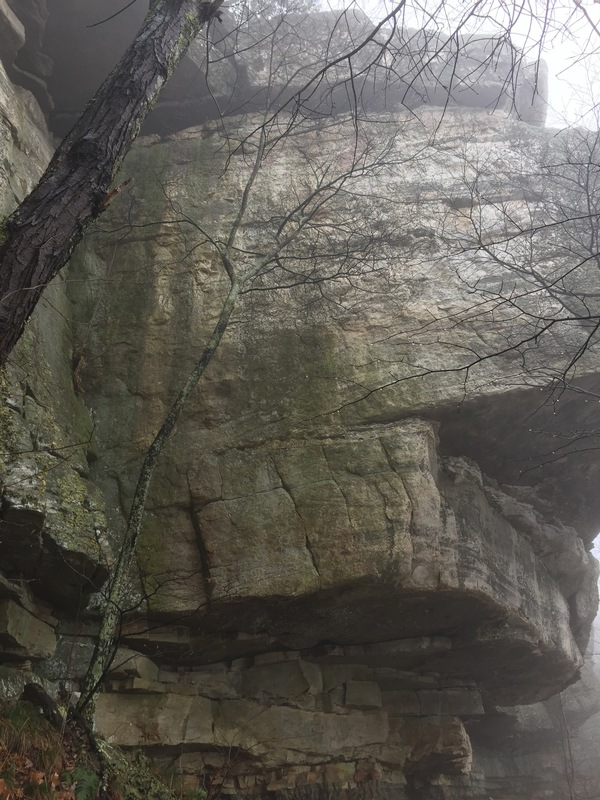 So I wanted to hop up there and see what rock climbing Tinker Cliffs would look like up close. 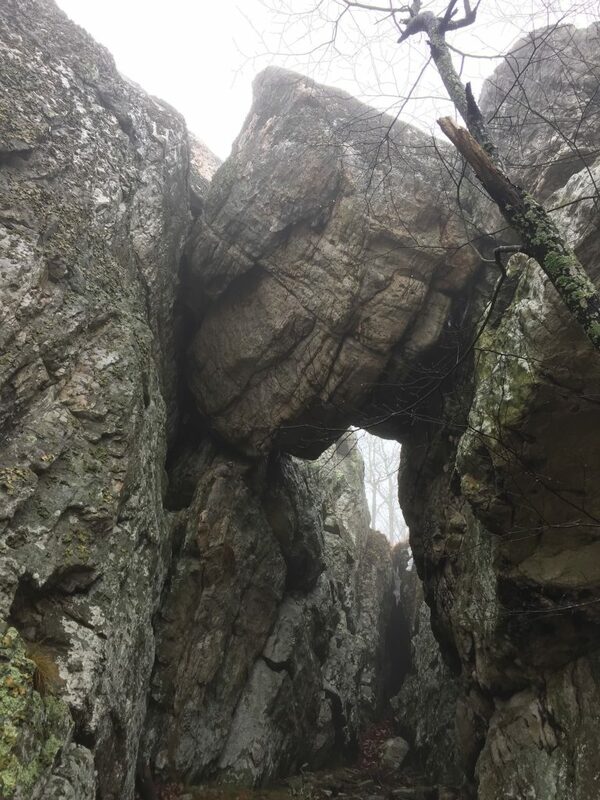 The half-mile long Tinker Cliffs is located in southwest Virginia just 30 minutes from Roanoke and 45 minutes from the home of the Hokies and my alma mater, Virginia Tech. 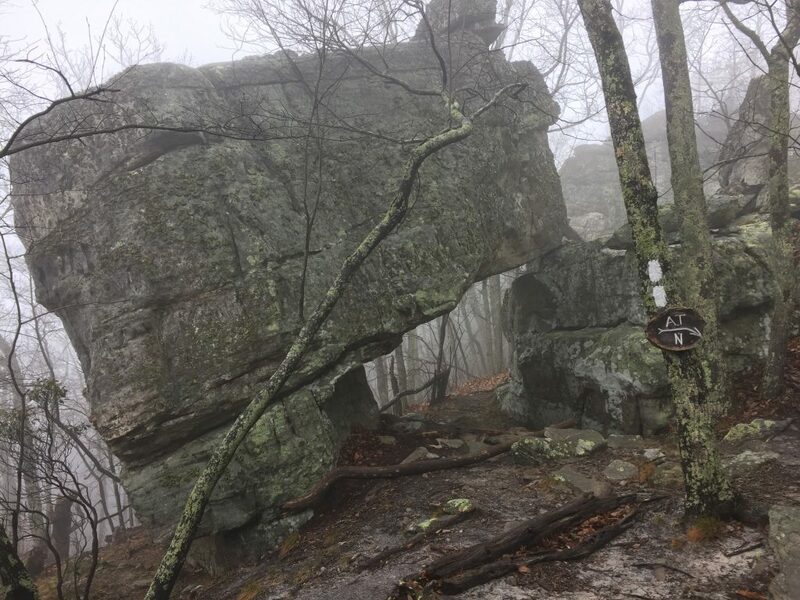 It is at the summit of a long ridgeline that the scenic Appalachian Trail follows. 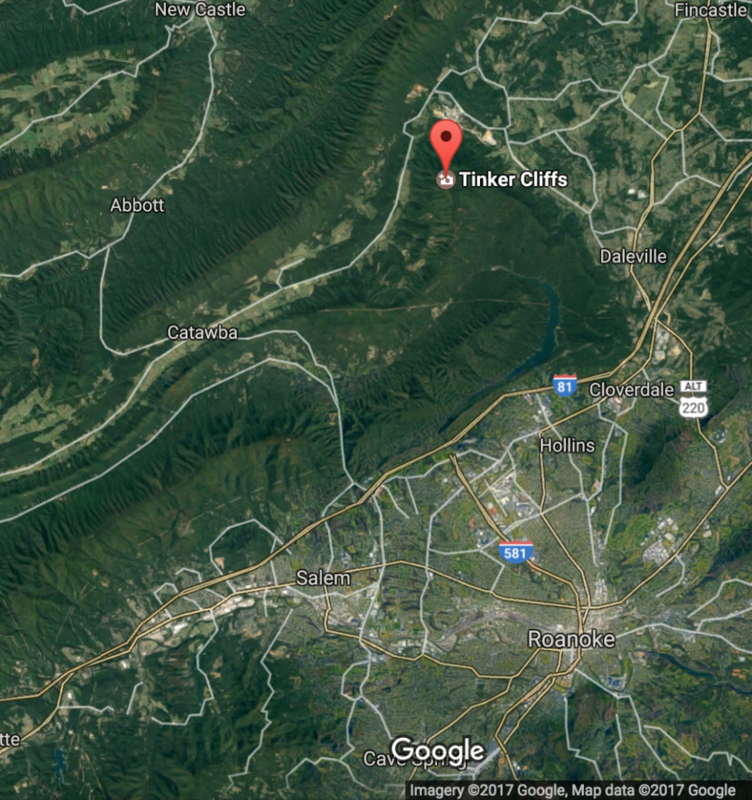 In fact, The Appalachian Trail courses directly over the top of Tinker Cliffs. 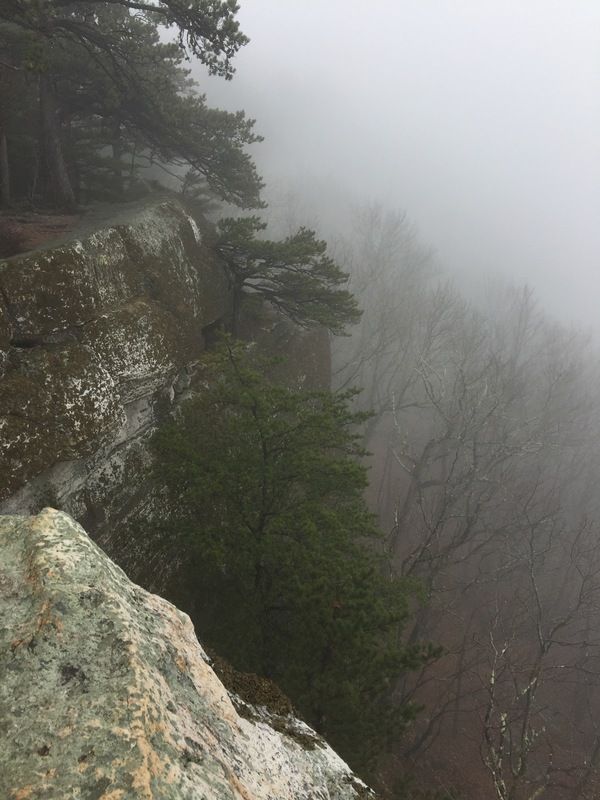 Just a few miles North of the most photographed place on the entire Appalachian Trail, McAfee’s Knob, Tinker Cliffs is a beautiful section of trail in its own right and comprises the northernmost sight of the Triple Crown in Virginia. 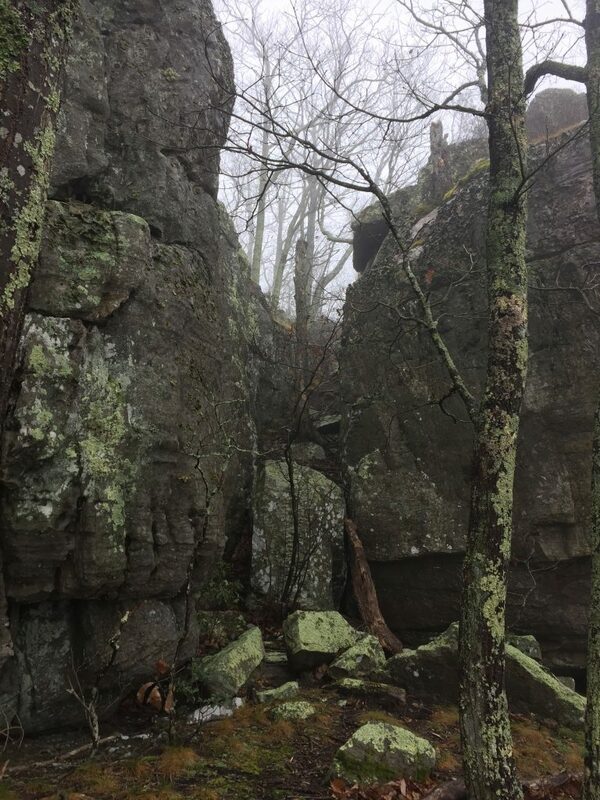 With access to the mountain biking trails at Carvin’s Cove, kayaking and tubing at McCoy Falls on the New River, caving at the Murder Hole, and hiking on the Appalachian Trail, the Tinker Cliffs area is a one stop shop for an epic adventure. 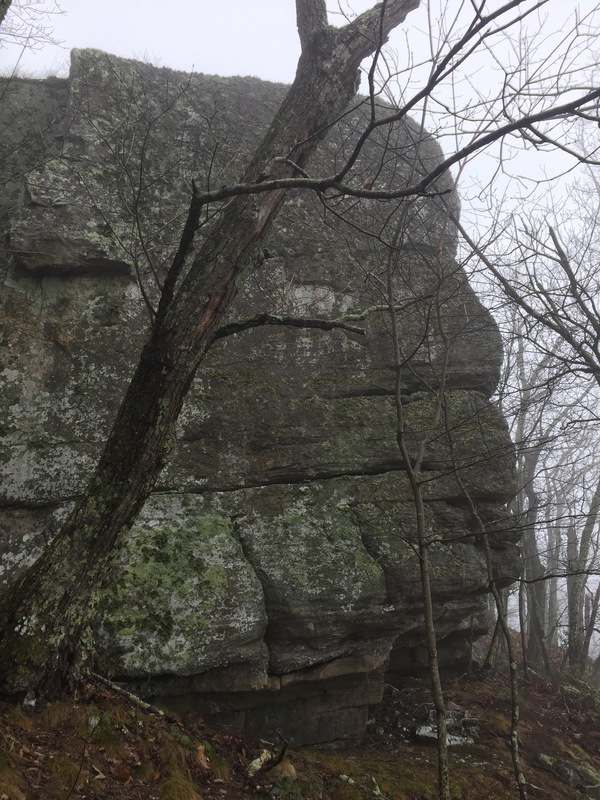 And if you’re looking for an adventure, simply accessing the rock climbing at Tinker Cliffs can provide you with one. 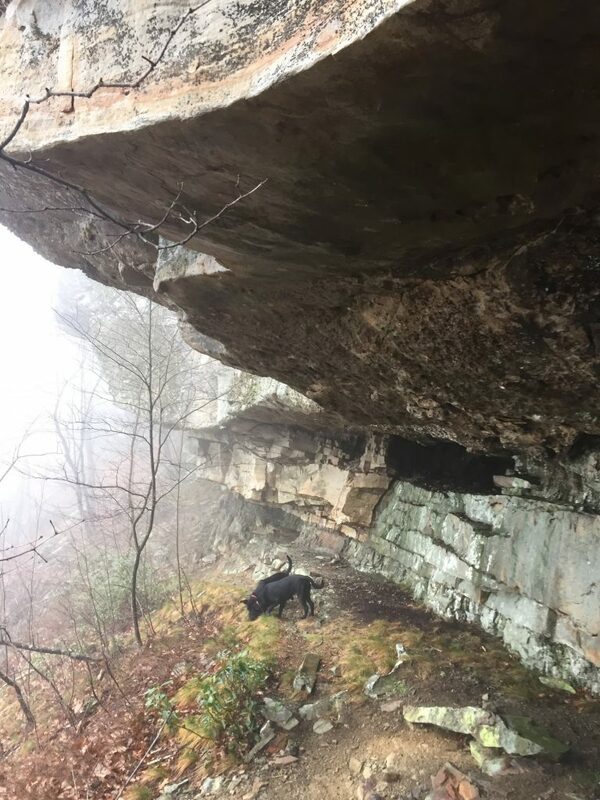 The Andy Layne Trail provides the most direct route to Tinker Cliffs but in doing so sends you straight up from the valley. It’s 3.5 miles and 2000 feet of elevation gain which rounds out to a solid 12% grade average for the ~1.5 hour hike. 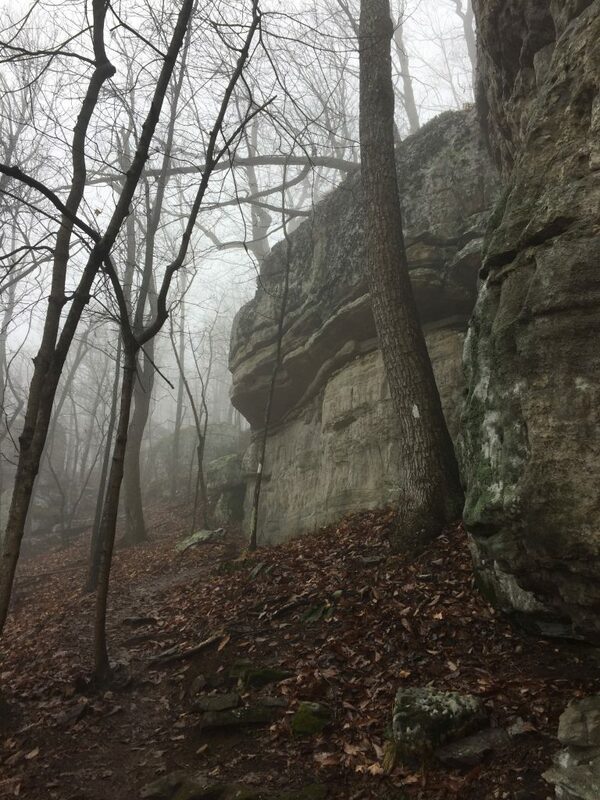 The maintainers of the trail do an incredible job but nature is an unruly force to contend with, so make sure you do the hike in clear weather otherwise you’ll be fighting slick mud on the way up. 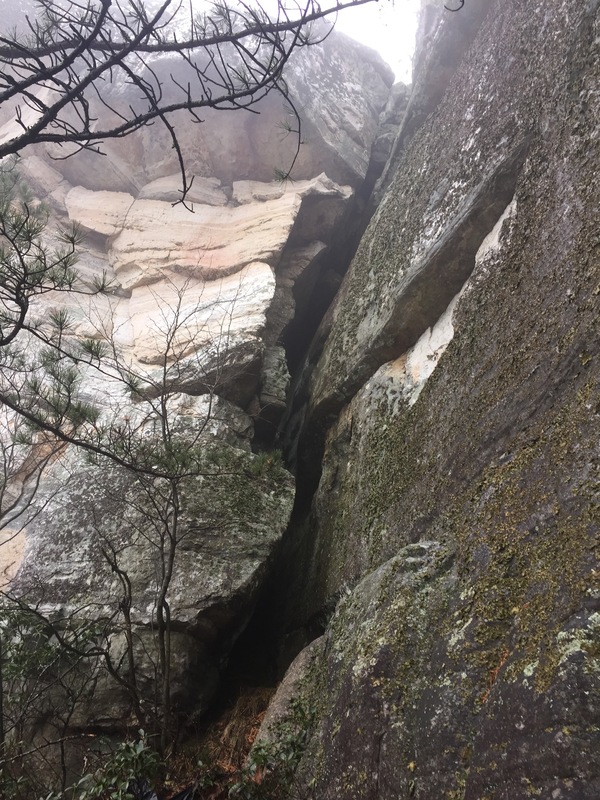 Also, be sure to carry plenty of water from the car because there are no sources along the hike besides the two cow crap loaded streams at the base. 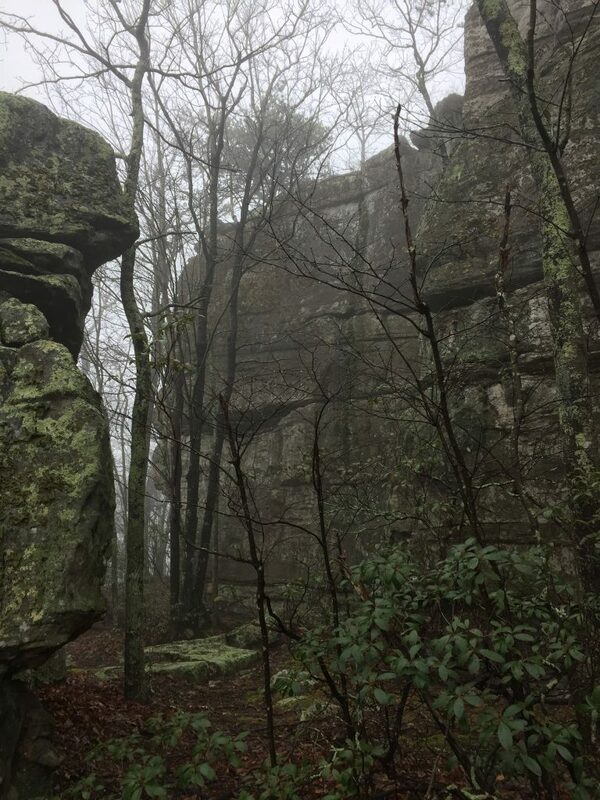 However, if you’re willing to endure the slightly longer approach than the generic one expected from the New River Gorge, Pilot Mountain, and other crags in the area, Tinker Cliffs possesses beautiful untouched clean lines waiting to be climbed. 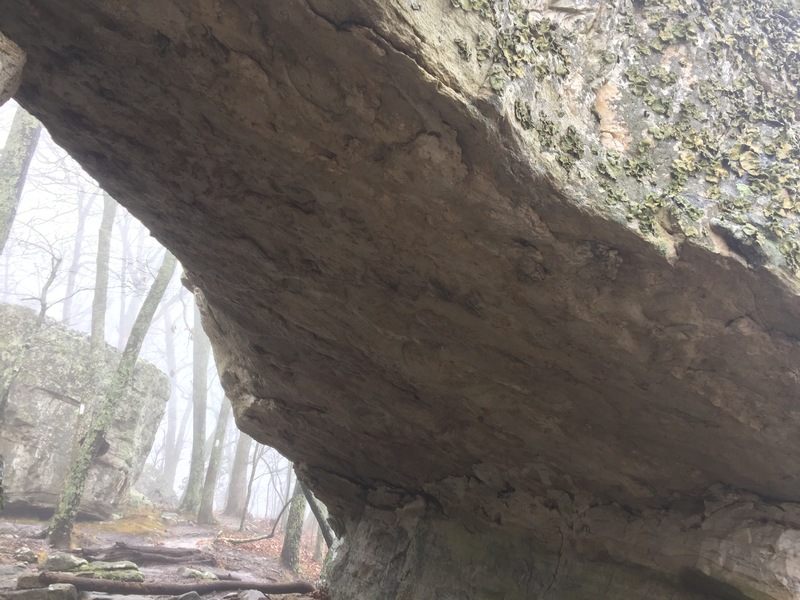 From featureless slab to juggy overhangs, 100s of classic boulder problems, trad routes, top ropes, and sport climbs await. However, the perk of this place may be the insanely easy access to top roping. 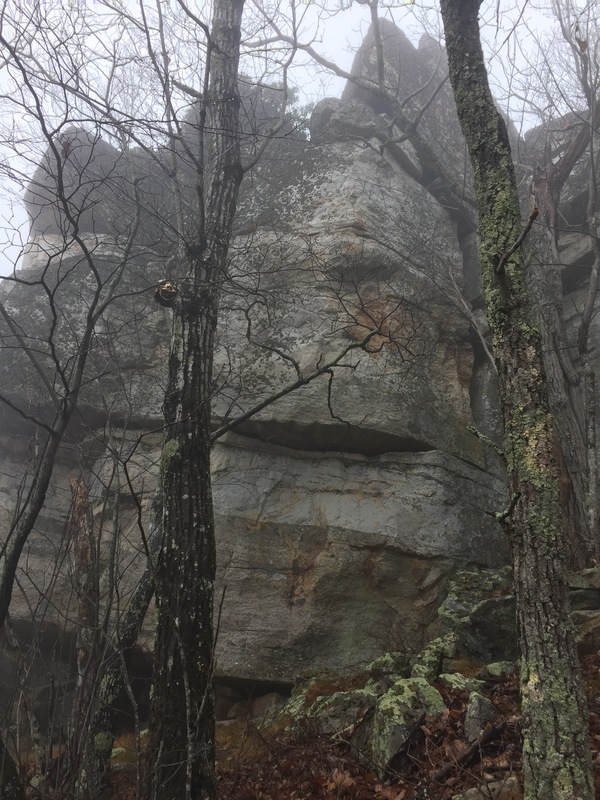 Be considerate of hikers up top. It’s dangerous to hikers and climbers to run anchors across the trail and at minimum it’s bad form. 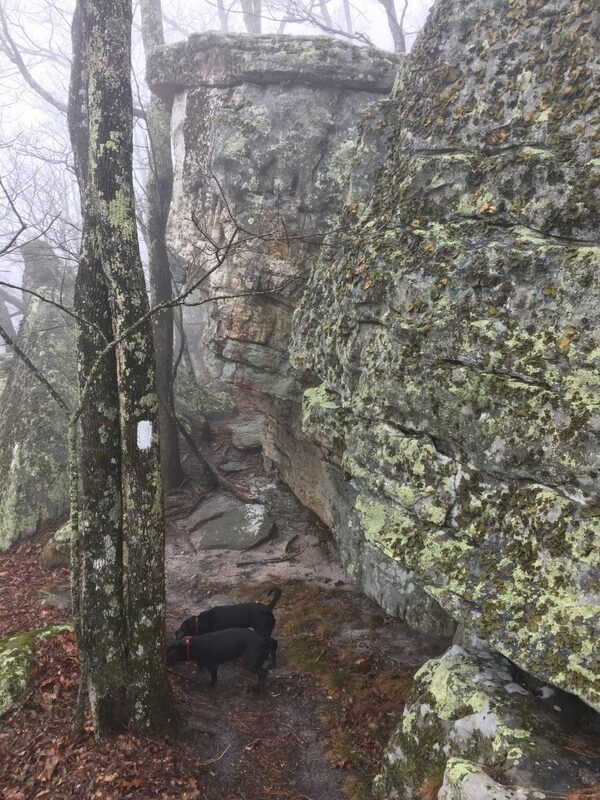 But the lower traffic on Tinker Cliffs on shoulder seasons could make TR anchors less risky. 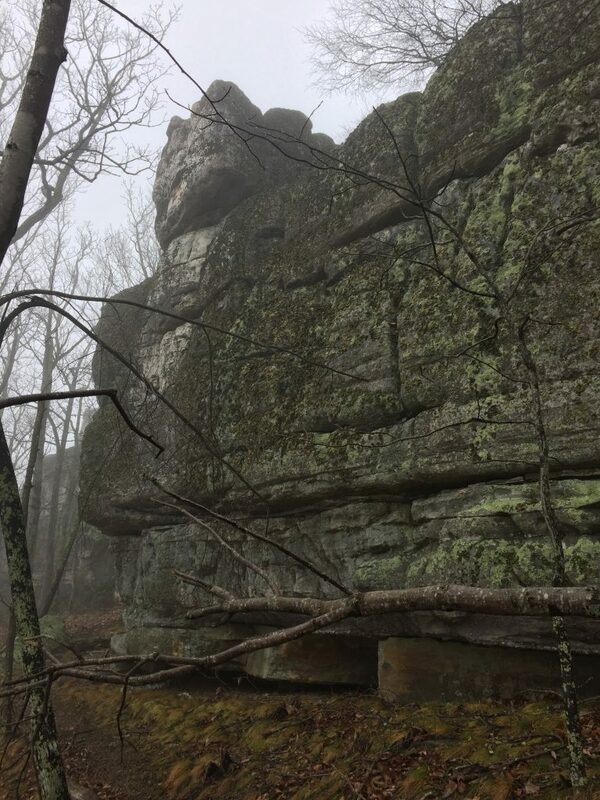 I went up on a clouded in day so I didn’t get any pictures of the beautiful views, but I did get some pictures of the rock. So let’s get to it and check out some potential lines! 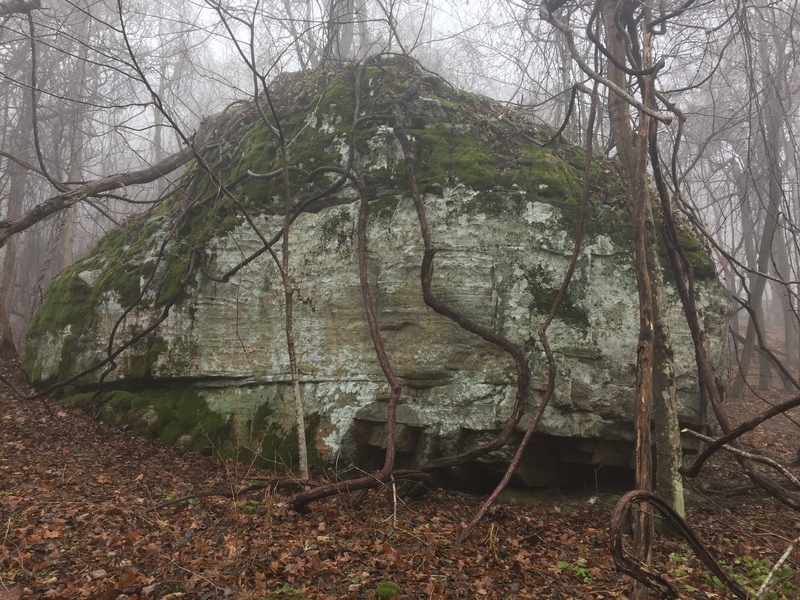 Awesome 20 foot boulder near the junction with the Appalachian Trail. In need of some cleaning though. Pretty cool view in better weather. 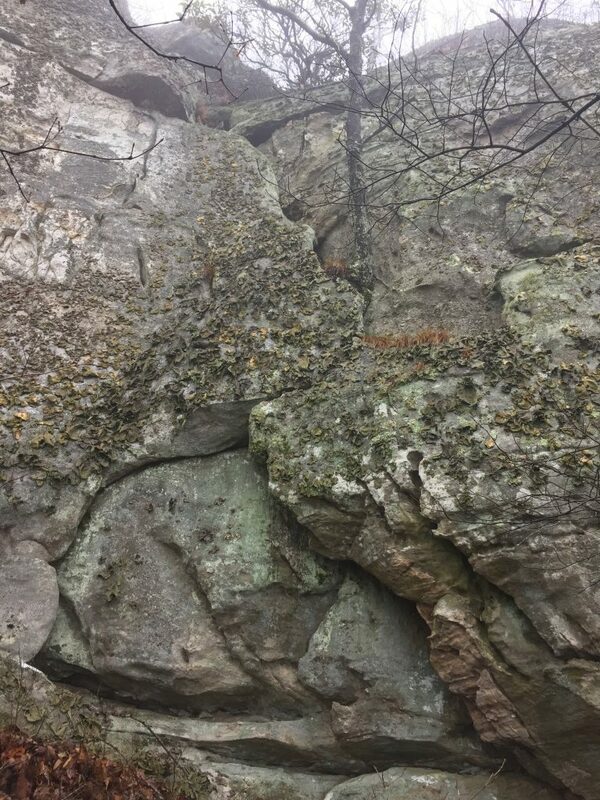 Potential for setting up tree anchors to the left where the trail doesn’t pass at the top of the cliff. Be wary of shallow roots though. Featured overhangs could make for some fun hard boulder problems. 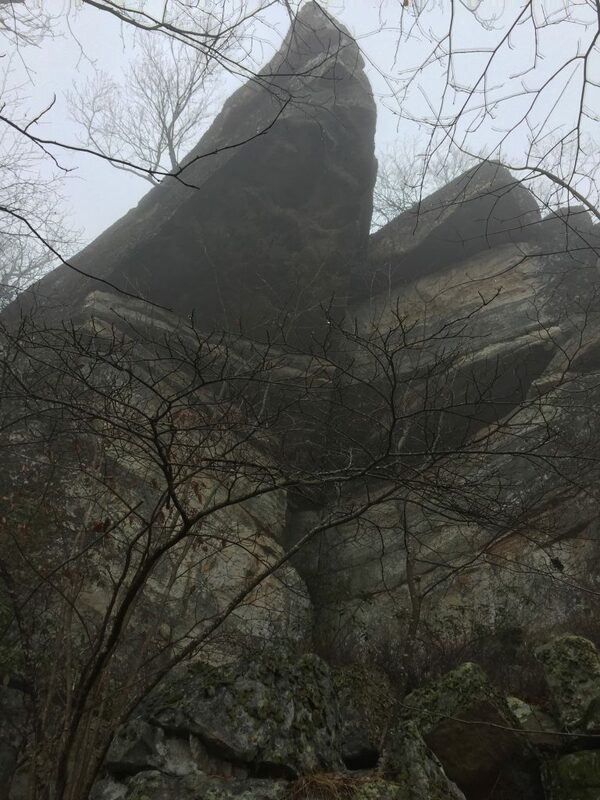 Solid rock and no plant growth. 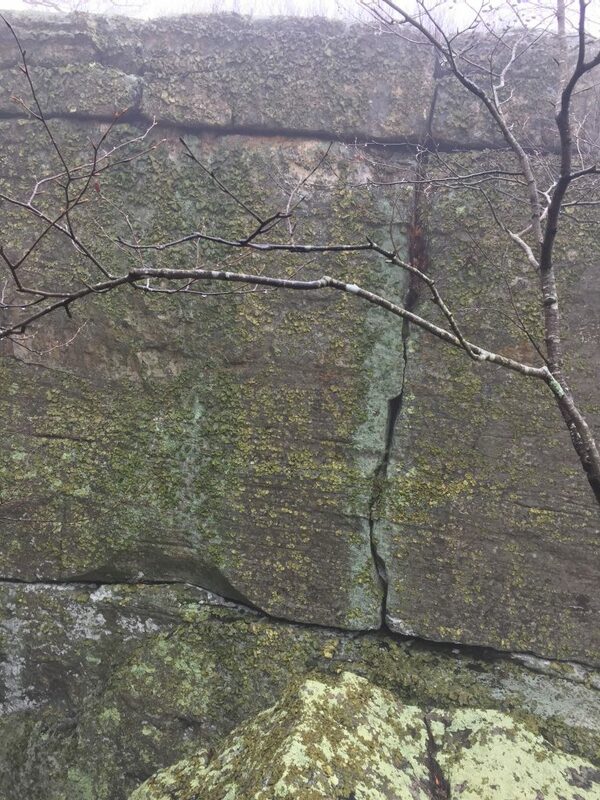 Potential for some fun easy cracks and lay back climbing. I feel hesitant to undertake cleaning so much lichen but remember how quickly it would grow back without consistent climbers. Some underclings to start and overhang to top out. Clean lines with the huge boulder up top. Stayed dry even on a day like today. 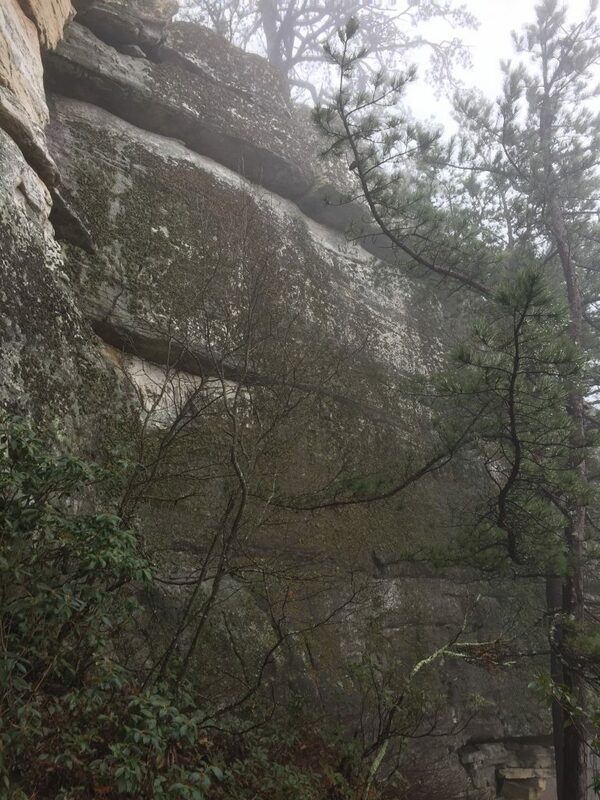 Could make for some interesting climbing. Looked a little featureless. 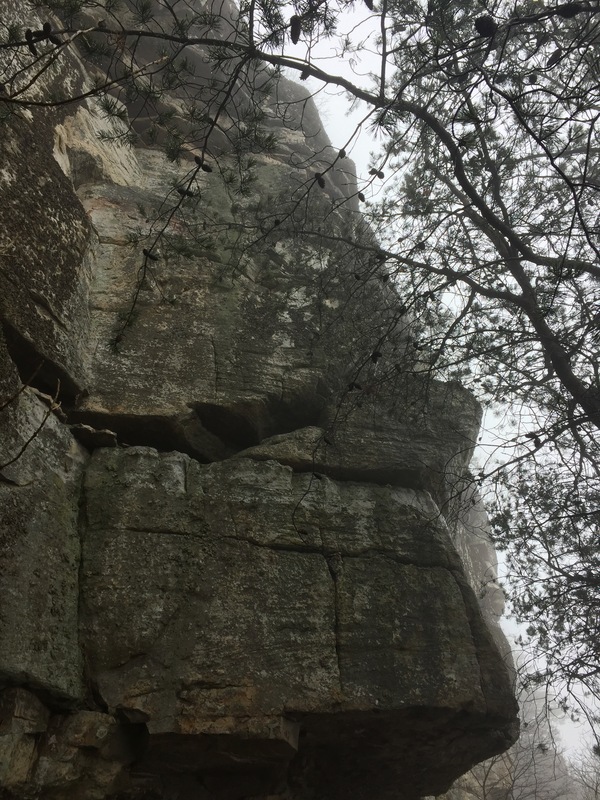 No place to place gear and probably never going to be bolted so likely will remain unclimbed. Rock climbing and Tinker Cliffs might be synonymous with lichen and a lot of cleaning on some of the more northern facing walls. 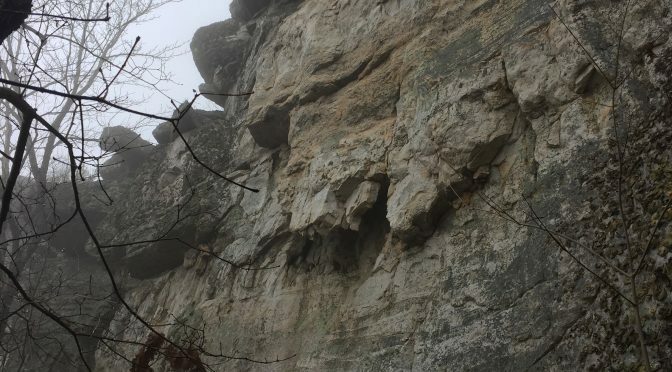 Interesting potential for routes on clean rock. 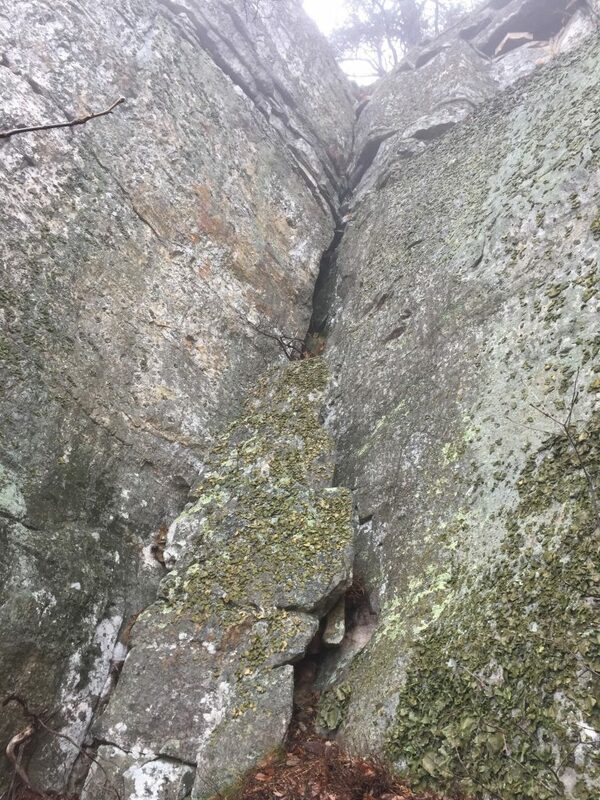 Granite crystals could make for some interesting holds on this overhanging start. Any geologists know what kind of rock Tinker Cliffs is? Juggy bouldering. Routes for all levels. Tough for me to say what some stronger climbers could make of this but definitely some potential for some burly routes. Clean that up, who knows how amazing that line could be? 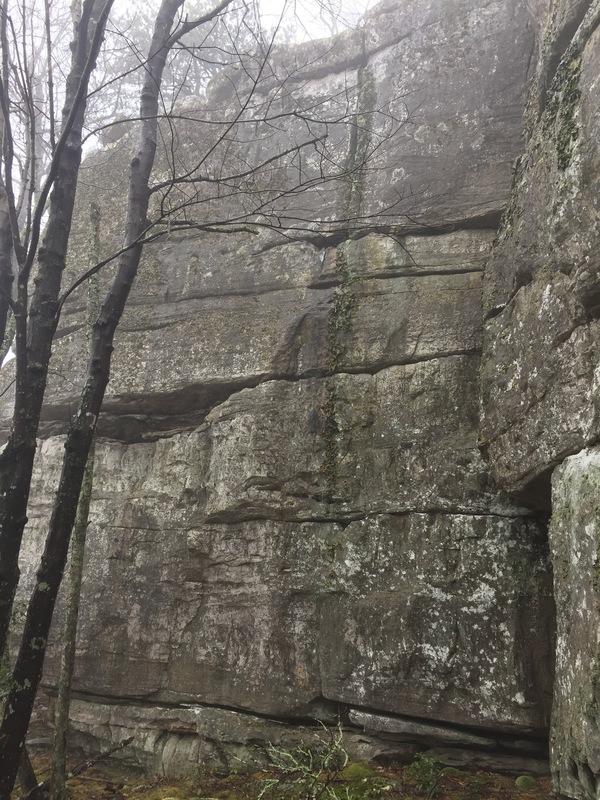 Kickass potential for a trad route with an overhanging finish. Most of the middle of Tinker Cliffs has overhanging rock at the base. 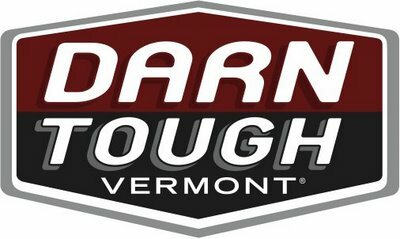 Could make it tough for top roping. Straightforward dihedral with some good looking face climbs on either side. Awwww yisss. 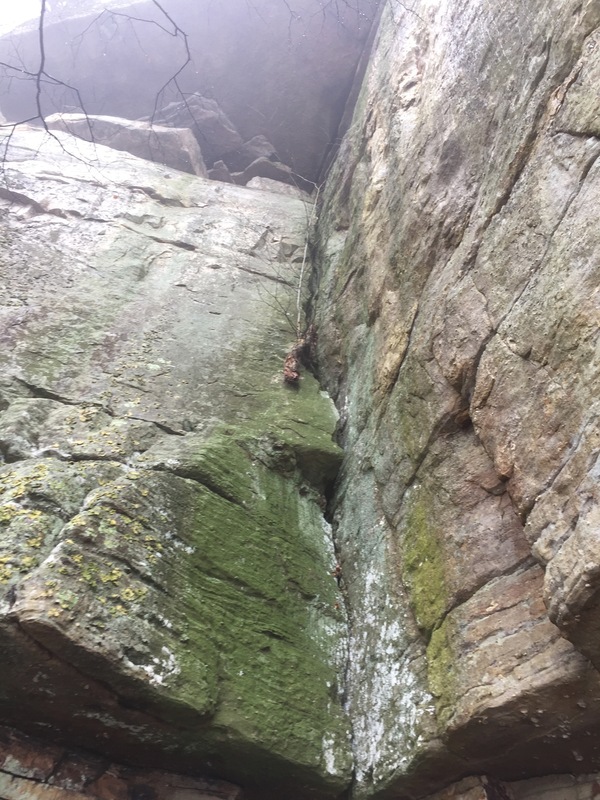 More potential for slab routes. I don’t even know what to make of this. Some awful off-widths or full body climbing. Could be a uniquely awful kind of route if someone really wanted to. More slab! Maybe could get some pro in those horizontal cracks. 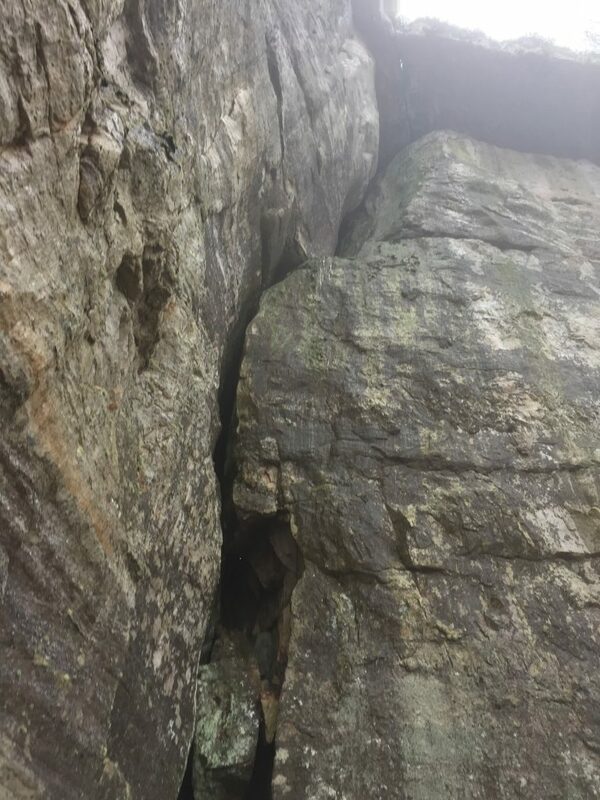 Could make for a good, albeit short trad route. 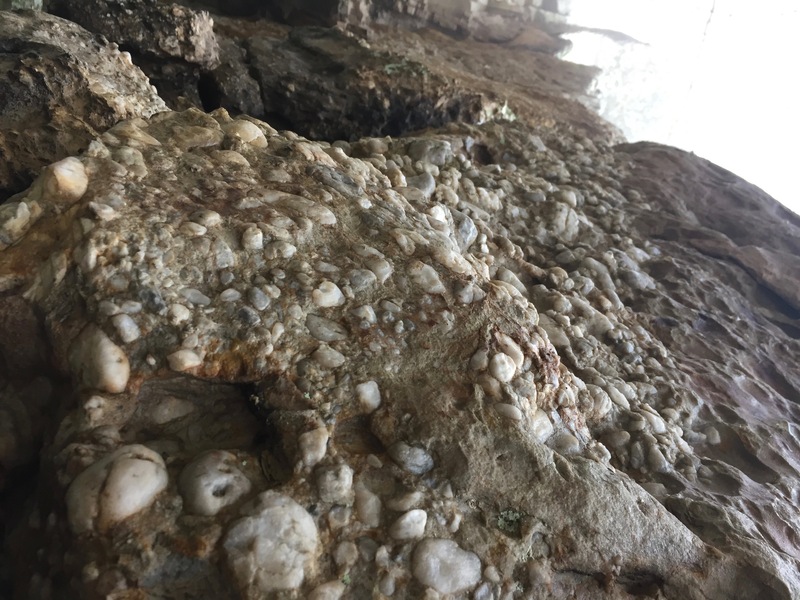 Seriously, anyone know what kind of rock this is? Sandstone with some granite crystals? 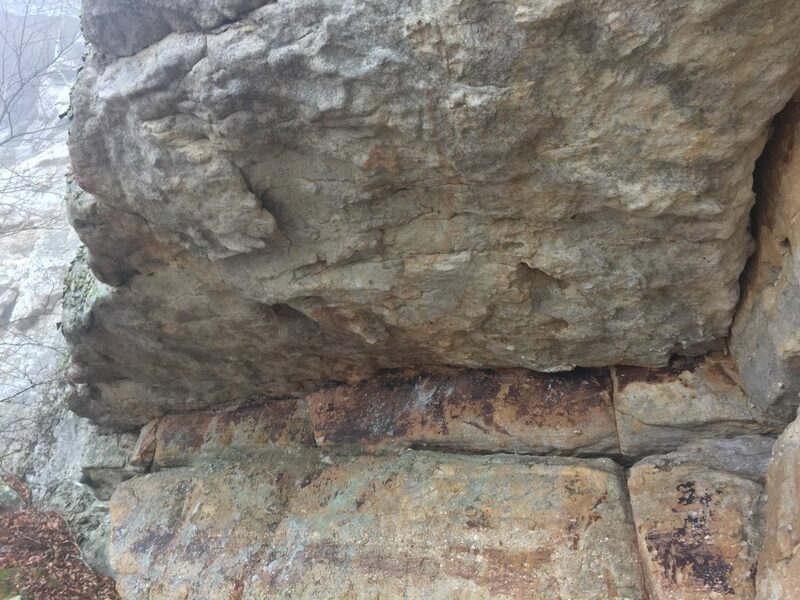 Horizontal cracks mark a large portion of the wall at Tinker Cliffs. 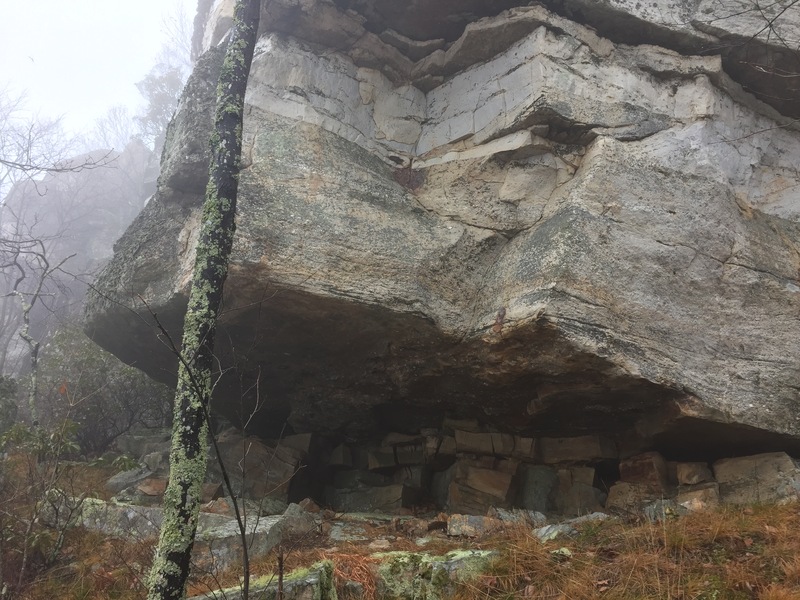 Could be some juggy bouldering if someone were committed enough to clean it. 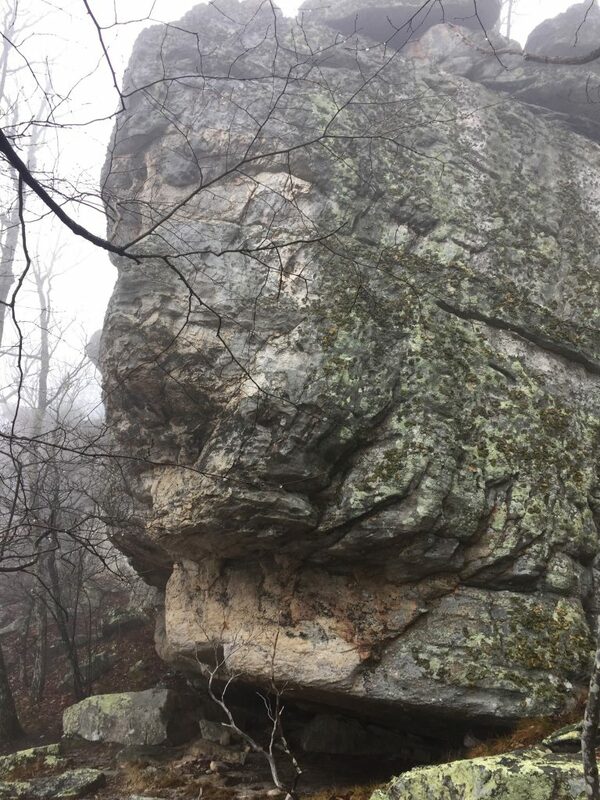 More face climbs! No potential for natural anchors on top of this one. Could imagine some bolts being put up on some of the cleaner routes but can’t imagine it being of much use on a north-facing section like this. So many holds. 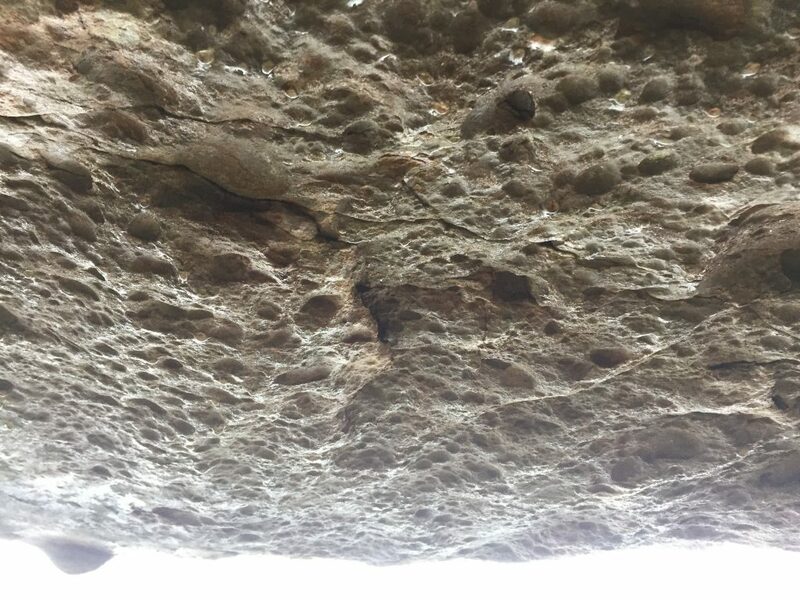 Could be a good highball for the bolder boulderer. Or a good little easy top rope for the newer rock climber. 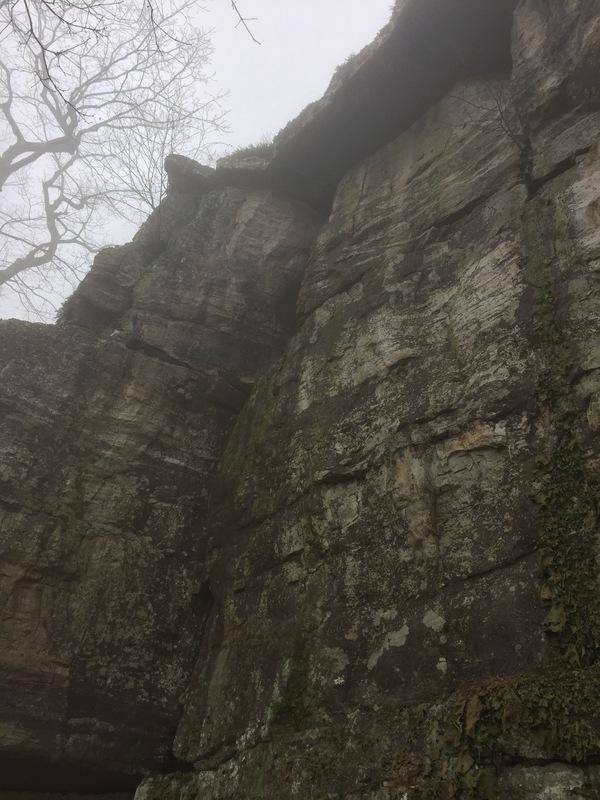 The nearest intermediate access to the bottom/top of the cliffs on the north end. 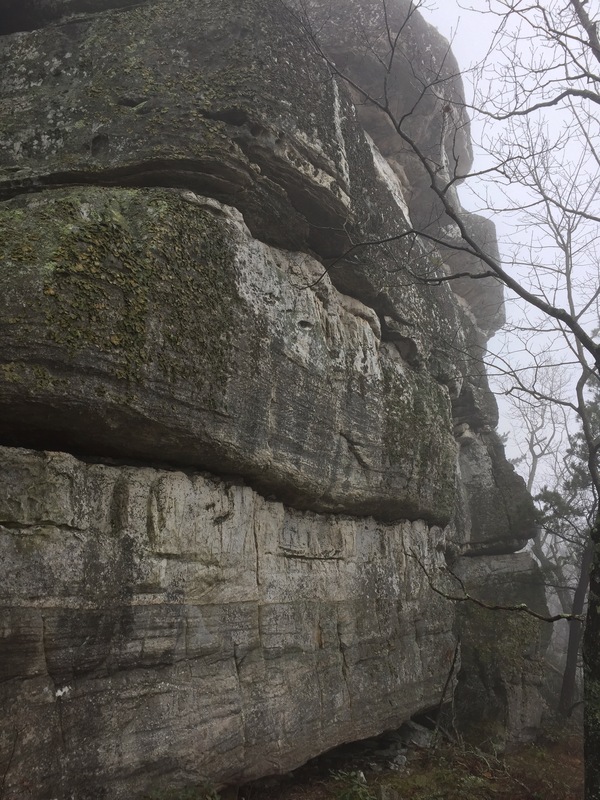 About .3-.4 miles of sheer cliffs between here and the Appalachian Trail to the south. I’m salivating just thinking of the potential. 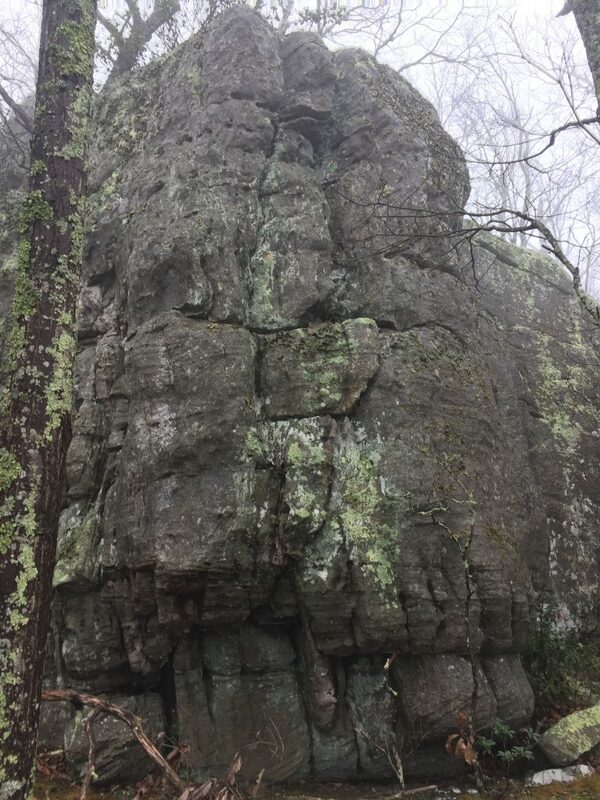 Reasonably clean rock but having not seen many climbers still in need of a touch up. 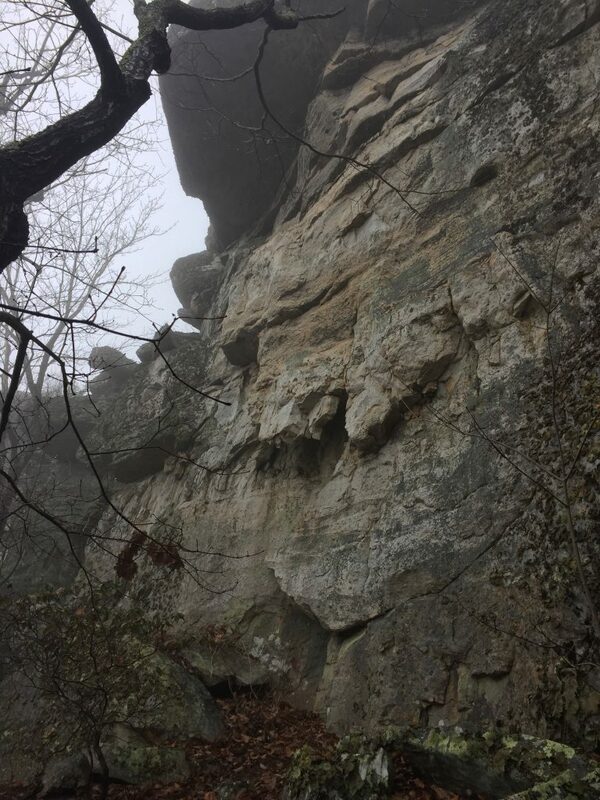 Nice potential for some good warm up/ beginner rock climbing at Tinker Cliffs. Most of the walls are 30-40 foot range. 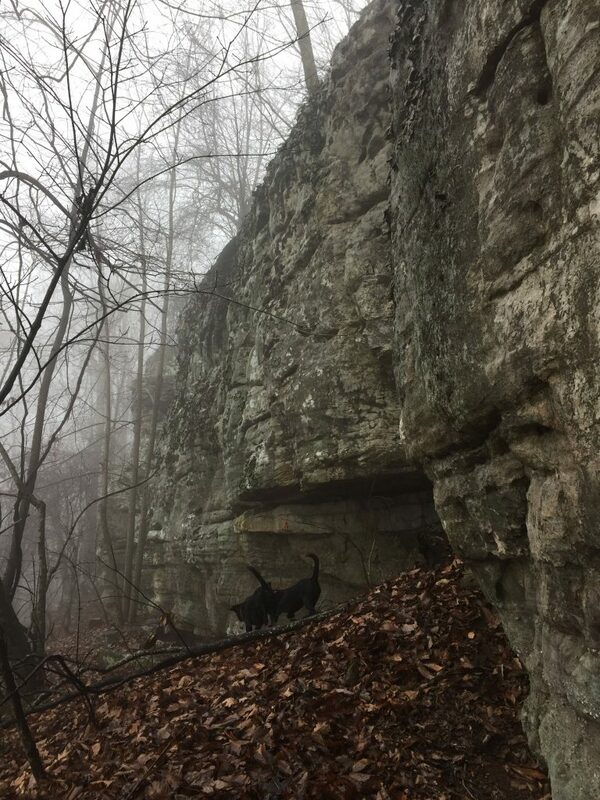 Crag dogs keeping me out of trouble. 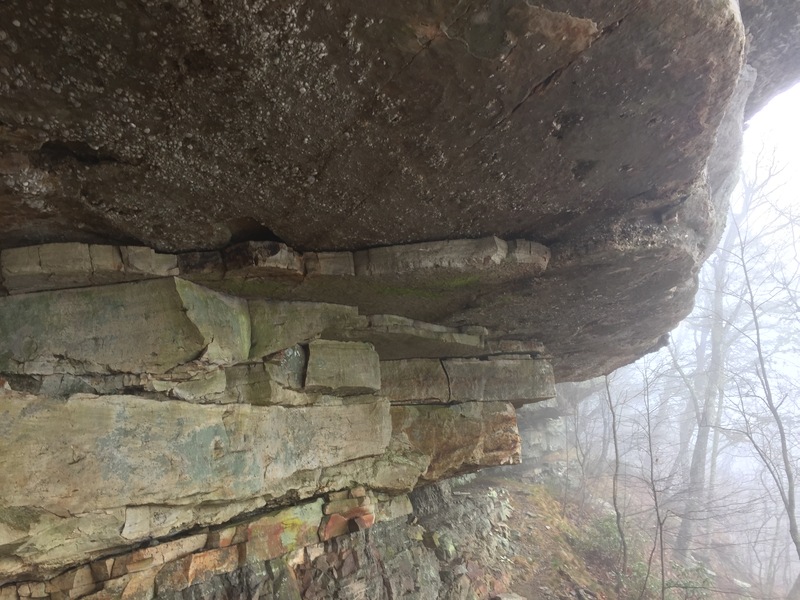 More potential for bouldering on the north end of Tinker Cliffs but would be in serious need of cleaning. Tough to spot the lines sometimes beneath the lichen. 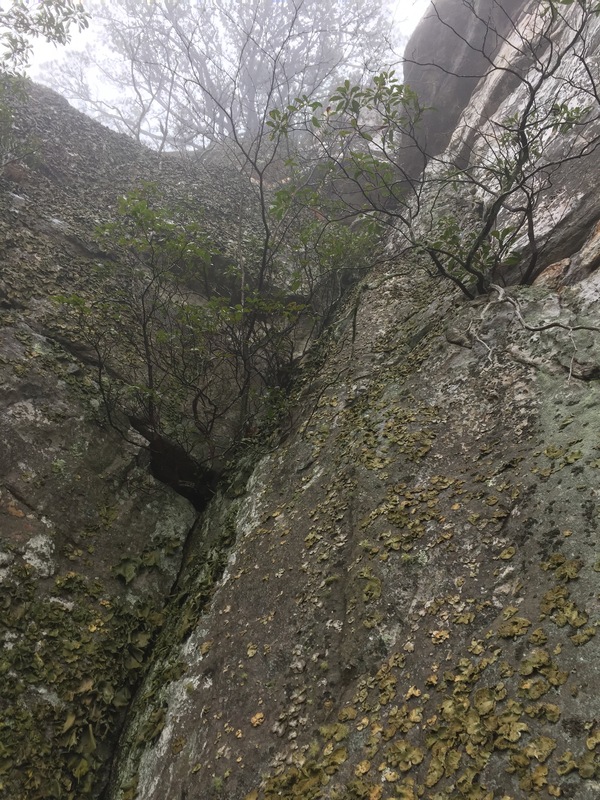 In summary, there’s so awesome potential for some cool routes if someone wants to put in the effort. 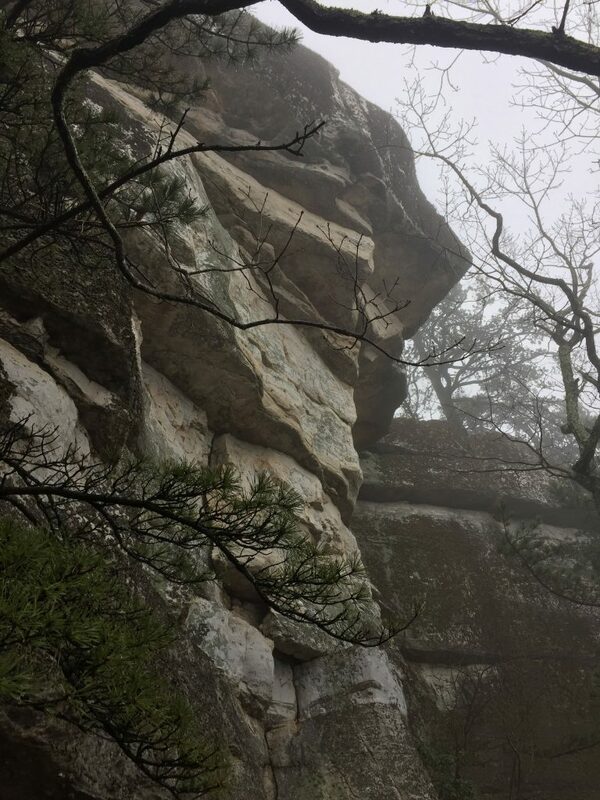 If Tinker Cliffs were roadside it would be the most popular crag in the Roanoke area without question. 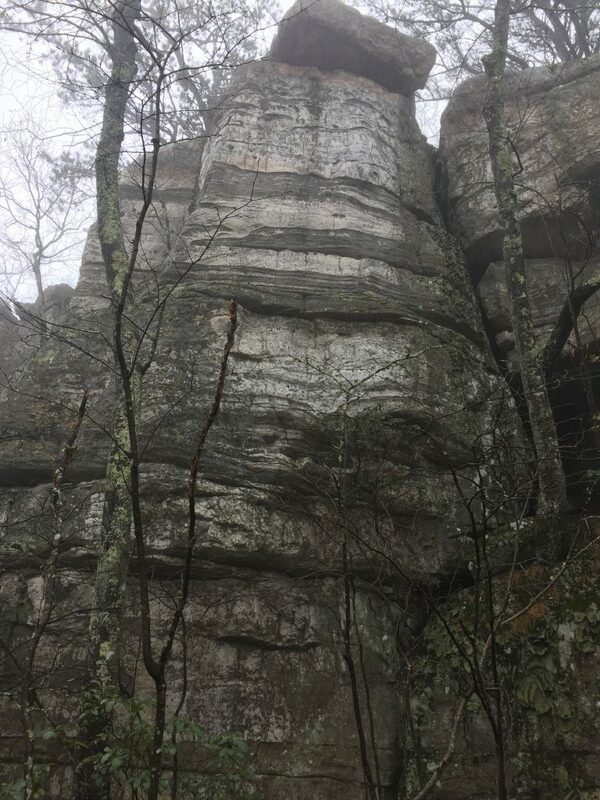 With a half mile of 40 foot cliffs with some routes up to probably 55 feet, it would see daily traffic from local climbers. 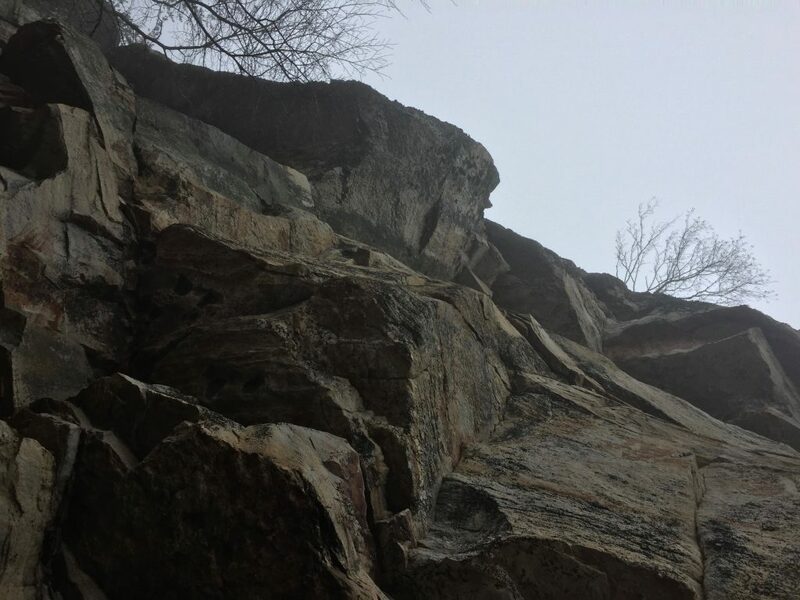 For better or worse, the climb up to it is prohibitive to most climbers so it will likely remain relegated as a novelty crag for only the most curious of climbers. 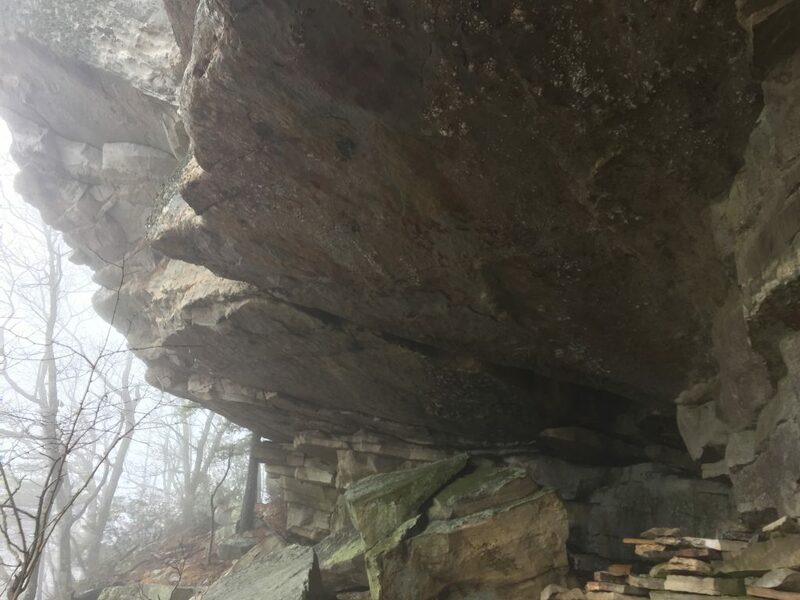 I’d love to see it take off and get a few bolted routes, especially on some of the overhangs where the rock remains clean and dry. But in the meantime, if anyone gets a chance to get out there and put up some trad or top rope route, let me know so we can share the beta.